The amplified bluegrass of Railroad Earth defies classification. The "newgrass" jam band and Americana legends are one tour once more this year, in support of their newest record. Expect an extensive live show full of improvisation and surprises as the New Jersey natives do what they do best! 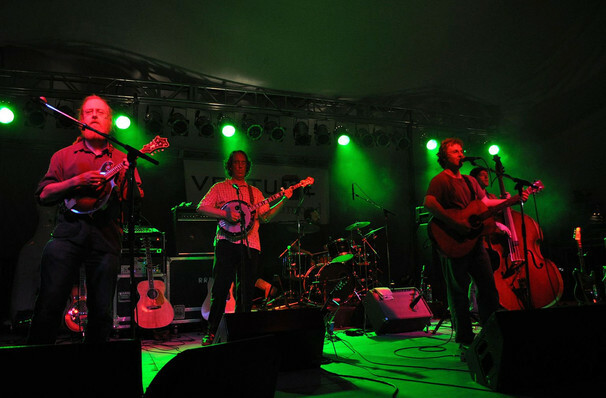 No strangers to bending genres, Railroad Earth have created their own subgenre blend of bluegrass, rock, jazz and celtic folk music. No two shows are ever alike - the sextet also push boundaries on stage with improvisation and jamming, bringing the heat with anthemic songs like Warhead Boogie and Blazin' A Trail. Seen Railroad Earth? Loved it? Hated it? Sound good to you? Share this page on social media and let your friends know about Railroad Earth at 9:30 Club. 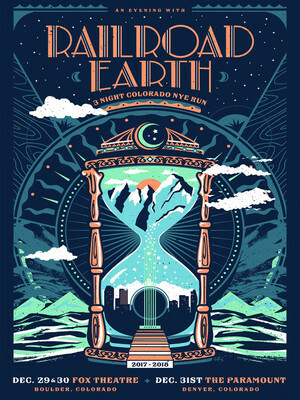 Please note: The term 9:30 Club and/or Railroad Earth as well as all associated graphics, logos, and/or other trademarks, tradenames or copyrights are the property of the 9:30 Club and/or Railroad Earth and are used herein for factual descriptive purposes only. We are in no way associated with or authorized by the 9:30 Club and/or Railroad Earth and neither that entity nor any of its affiliates have licensed or endorsed us to sell tickets, goods and or services in conjunction with their events.